The Official Blog of Jivrus Technologies. You have got an email. And that brings you new business. Collaborate more with your customers, employees, vendors, and any stakeholders of your business by simply opening up a Google Form that does more than what a Google Form does. I mean - power up the Google Form with Form Director add-on, that can direct the submitted data to various applications. You can now improve collaboration and communication from your Google Form submission by configuring notifications in Form Director. When a service (e.g. insert into database, generate merged doc/slide, create calendar event/contact etc) is successfully executed with submitted form data, Form Director can send notifications. Ever since we launched Database Browser add-on, there has been requests to add support to various types of databases from Google Sheet. We add new database types as and when possible to Database Browser. 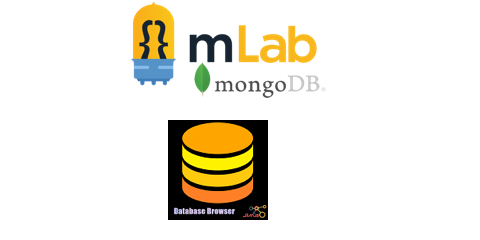 mLab:MongoDB is our latest addition. You can now connect Google Sheet with mLab:MongoDB using Database Browser add-on and build query from wizard, execute query and present results directly into Google Sheet. Getting mLab:MongoDB data into Google Sheet is NO more complicated. Step 2: Create a database connection to mLab:MongoDB from Database Browser with the API Key. We are excited to announce that Fillable Document product has crossed 25K users. Checkout https://fillabledocument.jivrus.com for more details on Fillable Document. So, it's time to celebrate!